Shopping for Game of Thrones Flags? Fire and blood! 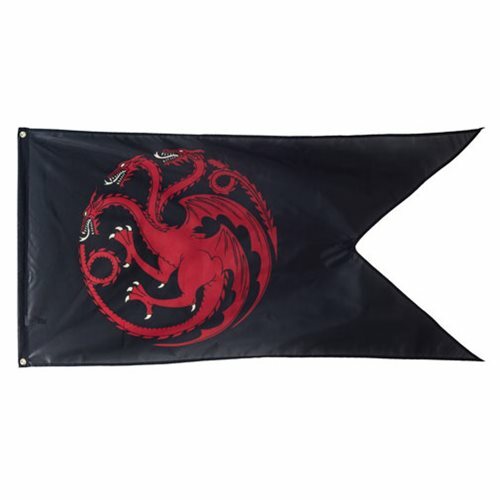 Proclaim your allegiance to House Targaryen with this Game of Thrones Targaryen Outdoor Flag! This 30-inches x 60-inches flag is weatherproof, designed specifically for outdoor use. It even come with grommets to hang on a flag pole. Ages 14 and up.